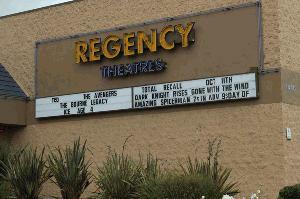 On a mission to make movie-going more affordable, Regency offers movies $3.50 all the time! The venue features current movies after they've played at the first-run theatres in Ventura. Former operators of the Channel Islands Cinemas in Oxnard, Regency Theatres recognizes the desire for affordable entertainment in Ventura County. 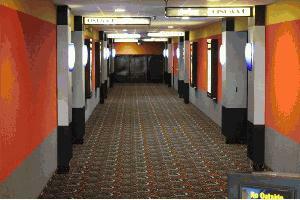 The Regency Buenaventura allows moviegoers to see three movies compared to the price of one at the competition. The Buenaventura also offers "Date Night" on Wednesdays where a couple can see a movie with two small popcorns and sodas for one low price of $10.00 for films starting at and after 6pm! Along with being the Ventura County's best value for movie-going! Theatre opens 15 minutes prior to first film's start time and closes 15 minutes after the last film's start time. 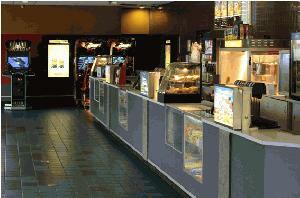 $1 Tuesday $1.00 All Films, All Day!